Glaucoma threatens your sight in a way that no other condition or illness can. Symptoms of glaucoma are barely detectable until vision has been lost permanently. Once glaucoma steals your sight, it will not come back, earning it the nickname “The Silent Thief of Sight.” If you have been diagnosed with glaucoma, you may be wondering how to treat it, and how to live your life with the condition. 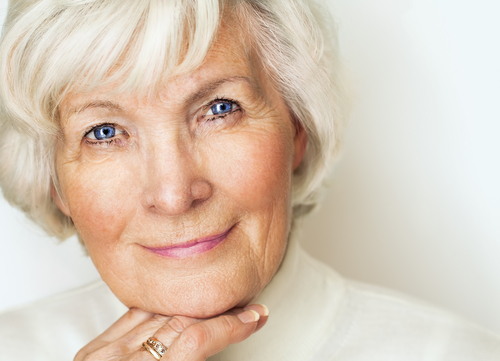 Keep reading to learn more about glaucoma and your treatment options! Glaucoma is a permanent condition with no cure. However, when glaucoma is caught early and treated, further vision damage can be avoided. The disease directly damages the optic nerve. The optic nerve is the cord that runs from the back of your eyeball to your brain, sending electrical messages from your retina. From there, these electrical images are translated into images. In most forms of glaucoma, the optic nerve is damaged due to an increase in eye pressure. When intraocular pressure increases, the optic nerve presses on the sensitive tissue of the eye. If intraocular pressure increases without being treated, it will lead to permanent vision loss. In some cases, part of the iris completely blocks off the drainage system causing intraocular pressure to increase rapidly. This is known as angle-closure glaucoma and can rapidly destroy your vision if you are not diagnosed quickly. Glaucoma can sometimes occur despite having normal intraocular pressure levels. In this case, patients can experience what is known as low tension glaucoma. Although it is a common indicator, high eye pressure does not necessarily mean you have glaucoma. Some people may naturally have higher levels of intraocular pressure that do not damage their vision. Because glaucoma has so few symptoms, it is incredibly difficult to detect this disease before vision loss has occurred. This is why it is incredibly important to schedule regular eye doctor appointments at our clinic in Scottsdale, AZ. If glaucoma is detected early enough through eye pressure tests and comprehensive eye exams, its progress can be slowed to a near standstill before significant damage is done. Glaucoma eye drops. It is incredibly important that you follow all instructions given to you by your doctor, as the drops need to be taken regularly in order to be effective, otherwise, your eye pressure may increase again. Pills. These pills are able to lower your intraocular pressure and are as effective as the eye drops. Glaucoma pills may be prescribed for patients who experience negative side effects when using the drops. Surgery. Laser trabeculoplasty is a painless surgery that manually corrects the eye’s ability to drain the aqueous humor. You will have to continue using eye drops after the surgery. Glaucoma may be scary, but taking the first step towards great eye health is easy. Contact us today to schedule your appointment with one of our doctors!